NCEC has been operating the UK's National Chemical Emergency Centre since 1973. This makes it one of the most experienced teams in the world in understanding the requirements of the chemical industry and emergency services. They offer a range of Emergency Response products and services to help deal with chemical emergencies including Carechem24 and Chemdata. 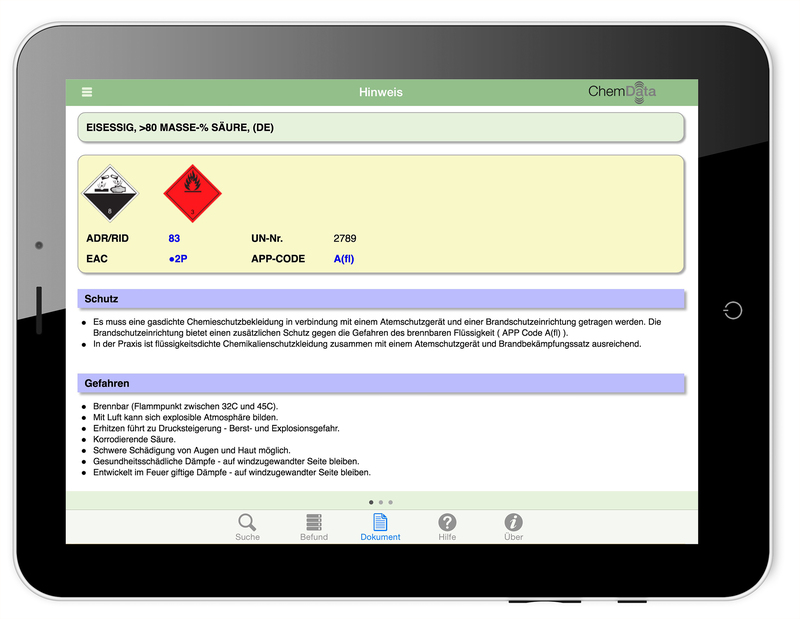 The iOS and Android Pocket Chemdata applications make Chemdata available on the move. Chemdata is a chemical hazards database designed for emergency responders. We sell it on an annual licence basis to over 100 clients with nearly 30 subscribing to either the Android or iOS app. Clients include all of the UK Fire Services, Fire services from Australia, New Zealand, Hong Kong, Malaysia, Ireland, France, Falkland Islands and Papua New Guinea; some police services in the UK, the EA, SEPA, airports, ports, MoD and private companies. The iOS app was produced following clear demand from our existing Chemdata users after release of the Android app. The app was developed for us by an external developer, Ark Software, who has over 30 years’ experience developing Chemdata for us. The app provided the same functionality as the Android app allowing users to search the database by substance name, UN number or CAS number and to display the Chemdata document for that substance. The release of the iOS app has been well received by our clients and several have now subscribed.